Artists find these fine imported drawing sets from Cretacolor of Austria ideal for anything from sketches to finished drawings. 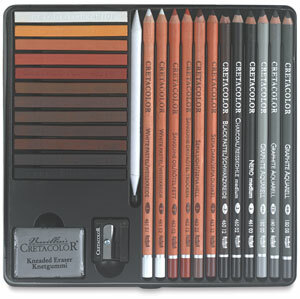 All pencils and materials are lightfast, with superior pigmentation. Pencils are crafted with the best quality cedar wood.